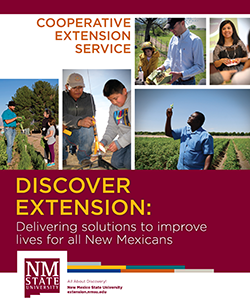 Cooperative Extension Service provides the people of New Mexico with practical, research-based knowledge and programs to improve their quality of life. Have a favorite NMSU Extension program or story? Share with us how NMSU Extension has impacted your life.